So sorry about your pup! Oh, I am so sad to hear about Lucy. 😦 I’ll miss seeing pictures of her sweet face. Lots of hugs to you and your family, Katy. I’m happy to hear that you’re enjoying FINNIKIN OF THE ROCK. I’ve wanted to check out that series for a while now, so this definitely gives me the push I needed (as did finally reading JELLICOE ROAD). I’m hoping to give May’s Photo A Day challenge a go this month too. I also kind of flaked out in April. I'm about 50 pages into FINNIKIN. I always have a hard time getting immersed in fantasy novels (I think because I'm such a contemporary fan and fantasy world-building often requires more careful reading and an active imagination), but FINNIKIN is excellent so far. The characters and their struggles are fascinating. I'm looking forward to diving back in later. Again, I’m so sorry to hear about Lucy. It’s such a hard thing to lose a pet. 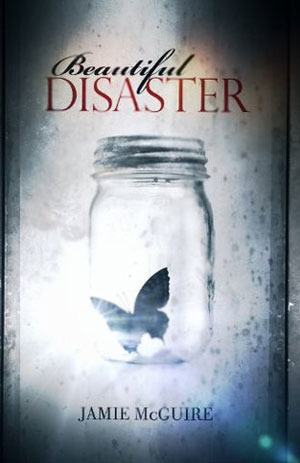 I’m looking forward to hearing your thoughts on Beautiful Disaster tomorrow. I’ve been thinking about reading it myself. I'm excited to share my thoughts on BEAUTIFUL DISASTER. It was a different sort of book for me, and I learned a lot form reading it. I’m so sorry to hear about Lucy, Katy. *HUGS* Justin once told me that losing his childhood dogs was one of the worst things he has gone through. Now that we’ve had Otto a couple months, I’m really beginning to understand what he meant. On a lighter note, I’m also loving this season of GoT. Dany is pure awesomeness, and I love the Jaime/Brienne dynamic. Have you read the books? The third book, A Storm of Swords, is one of my faves! Thanks so much, Caroline. It really is a hard thing to go through, but we do feel lucky to have had Lucy for so long. Here’s to many happy years for you, Otto, and Justin. And yes… GoT. So good! I haven’t read the books, though we have them and I’m tempted. The only thing holding me back is that the show is so well done. I really enjoy watching it and being surprised each week. As for the things on your blog: I say BEAUTIFUL DISASTER=contemporary Twilight crack. You can’t look away, but it’s not a book about good relationships or good writing. But still, can’t stop reading. I tried to pick up the sequel WALKING DISASTER but it is pretty much a copy and paste (literally, there are even a few screw ups/typos where it should be Travis in his head but its Abby) of BD. *sigh* I also saw that you are doing a requested revision which means you are on sub and I am so so so so so so so so so so so excited for you. Is that enough “so”s or what?? You got this, Katy!!!!! I’m actually off to the bookstore to find a book I really want & buy. Perks of the birthday girl(and not a wallflower, ha!). I felt very similarly about BEAUTIFUL DISASTER, Rachel. I was totally engrossed in a can’t-look-away fashion. I’d hate for impressionable minds to think that Travis and Abby’s relationship is healthy, but I was totally entertained by their story. And again, happy birthday! I’m so sorry about your sweet Lucy. I saw the Instagram you put up earlier today–your husband seems like such a great man. I’m excited at your excitement over Cross My Heart. I can’t WAIT to hear more! Also–Game of Thrones? Yes to everything you said there, especially about the bath. You inspired me though. Did my own What’s up Wednesday post. Thanks! Oh, Katy! I am so sorry for your loss! Dave and I had to put our babies down three years ago and I still miss them. My thoughts are with you. Excited about your revision though. And your WIP!!! Can’t wait to read! Thanks, lady. I am equally excited about your project! I can't wait to really get going on the SNI WiP. It has me all sorts of excited. I'm getting closed to finishing my revision, and then I'm going to find some momentum on that thing. I’m so sorry to hear about Lucy. 😦 That’s so tough. Sending warm thoughts your way. Oh, yes, to Game of Thrones. My absolute favorite show right now. Thanks so much, Jennifer. And yes, I’m with you on GoT. My currently favorite as well! 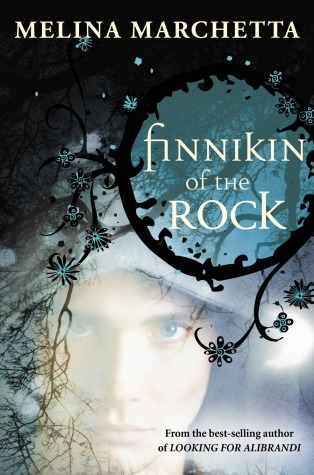 I’ve heard good things about FINNIKIN OF THE ROCK, so I should probably add it to my TBR list. I hope your story revisions continue to go well and that you can maybe sneak in some time on your SNI WIP that you love so much. It’s awesome that you have so much inspiration right now! Also, I’m very sorry to hear about Lucy. It’s a difficult thing to lose pets. Mine are all getting up there in age too. Love that adorable picture of her. Thank you so much, Erin. I think I’ve been taking my pets for granted the last few years, so this is a very profound reminder of how big a part of the family they are. I’m only about fifty pages into FINNIKIN, but it’s fantastic so far. I love Melina Marchetta’s writing! Again, I’m so sorry about your dog. It’s so hard to say goodbye to them because they become such a big part of the family. Hugs to you and your family. At least you know, she had a great life with you guys. I'm glad to hear that you enjoyed FINNIKIN. I just started, but I'm loving it so far! Hi Katy – again, so sorry to hear about your Lucy. I’m sure you have lots of wonderful memories of her. Good luck on your revisions – it can be tricky to work on one project when you have other irons in the fire. Your running totals are amazing! Still waiting for spring to arrive so I can get outside and get some exercise… more snow on the way tonight! Gah! Oof, so sorry about Lucy. How’s your darling kiddo handling it? I’m sure it’s tough for all of you. Lots of hugs your way. And Finnikin! Yes! I’m so looking forward to reading the third book in that series, which I think was just recently released in the US. They’re the kind of books that take a lot of time to read because they’re so dense, but then you come out of it feeling like you’ve *lived* in them. How is MM so brilliant? Thanks, Jess. My girlie is doing okay. I think she’s still processing the whole thing, but I definitely feel terrible for her. I’m thankful that we have another dog who she can lavish with love. Isn’t GoT fabulous?! I’m tempted to read the books because I’m so curious about where it’s all going, but I think the show is SO well done. It’s fun to watch every week and be surprised by the twists and turns. Do you read Forever YA’s weekly wrap-up? It’s always spot-on, and never fails to make me giggle. Totally agree with you on MM’s brilliance. I’m only about 50 pages into FINNIKIN, but I already feel so immersed in the world and invested in the story. Can’t wait to see where the book — and the series! — will go. Best of luck on your revision, as well as getting back to your awesome WiPs! You’ve got some writing to do, that’s for sure! And dang, girl! 171 miles for April!!!!! You’re like Forrest, Forrest Gump. 😀 I think we should meet up to go shopping for some new shoes! Big hugs coming your way! Thanks so much for your kind words and support, Erin. It’s been a crappy week, but we’re really thankful to have had so many good years with Lucy. And we’re feeling especially grateful for our other dog, Daisy. And YES, can we please go shoe shopping one day? Then we can go for a run to break them in. 🙂 Is there a brand you favor? Give Daisy a big hug. xoxo, K.
I run mostly in Mizunos and I love them! They’re sort of pricey, but they last a good long while, especially considering the mileage I put on mine. Today I ran five miles in my Merrell minimalists. I try not to go further than that in them unless I’m on the elliptical because my knees and hips begin to hurt from lack of support. But yes, more often than not I can be found in my Mizunos. Great post. I plan on blogging GOT after Once Upon A Time finishes. All I know about the show is that there are dragons, bad guys, lots of killing, and everyone needs a bath. I’m a runner too! I broke my foot 8 months ago, so I’m just getting back into my sneakers. I’m a Mizuno fan as well, but Nike has all those cool neon ones out now. He said, “Hello sweetheart, How are you?” And then he was whisked away. Best of luck with your writing as well!